I am 1.57m, 53kgs, Asian, 45 years old, 2 kids both Caesarian (and I am wondering if this has anything to do with my abdominal problem). My diet is fairly healthy, but I am not that strict because I love food, both healthy and sinful. I don’t binge and have a pretty good control over my cravings. I stir fry and eat a lot of veggies, rice, meat, fish, an enormous amount of fruit, not a lot of bread but when I do its whole grain. Not a lot of junk food either because I hate greasy food – maybe twice a year if at all. My food consumption is well within my daily quota of 2,200 calories per day, if not less. I hate breakfast, so I drink one serving of whey protein, a cappuccino, and one banana. For my workouts, I run, use an elliptical trainer because of my knees. Sometimes I run sprints to get some aggression out of my system. My cardio ranges from 40 to 60 minutes, burning an average of 500 cals if I can believe the digital output, and I do an average of 3 hours cardio per week. Then I do various strength training, mostly upper and mid body since I do a lot of running. I alternate so that I spend about 1.5 hours in the gym depending on the rest intervals. In conclusion, I think I have a sufficient deficit of 1500 calories per week at least. The big question is: Why on earth can’t I seem to lose that bit of roll on my tummy or get my stomach looking flat? I am highly motivated. I like what I am doing and often come home feeling better than when I left. Should I resign myself to the fact that two caesarian childbirths make it impossible to get a nice flat (not even thinking of ripped) abdomen again? I read through your e-mail and noticed quite a few potential issues that might be contributing to your frustration with your abdominal area. If you address these issues properly, you may be pleasantly surprised with the change in your body fat level and especially the muscle development in your waistline. I thought that these were such important issues, that I am going to answer the question in detail for the benefit of all our readers. Obviously, two C-sections does not help and can make things more challenging. One question I have is how much time was there between childbirths? If it was less than two years, the physical structures which contributed to childbirth may not have been repaired completely before they were asked to do it again. After pregnancy, the body needs to normalize and it takes 9 months or more to get back into physiological balance. This balance is not just hormonally-related but also related to body weight, proper posture, and normal muscle tension. If all of these things are not in balance, you will tend to have inflammation that inhibits the inner (muscular) unit and you will have a higher incidence of the abdominal wall and inner unit dysfunction. When you have a C-section, the abdominal wall is cut and the muscles are sewn back together. This creates scarring through all levels of your abdominal wall. This scarring contributes to the muscle’s inability to glide over the top of each other during muscle contraction. The net result is weakness and that contributes to the lack of stabilization. This also could happen to the muscles of the pelvic floor after childbirth. When your inner unit and abdominal wall become dysfunctional, then your outer unit muscles which are used for movement (such as your gluteus maximus), become overused and will try to stabilize your pelvis and lower back. Also, when the pelvic floor is inhibited, the Transverse abdominis muscle (TVA) is lengthened and lordosis (lower back curve) begins to increase. This creates a short Psoas muscle and this can and does inhibit the gluteus muscles. If this sounds complicated, let me simplify everything I just mentioned by saying that an exercise program needs to balance muscles that may have become unbalanced. One way to do that is to include a lot of body movement on unstable surfaces such as a swiss ball. Another way is with special exercises for the inner unit. Although this may seem like complicated or boring details to you, if you really want that flat and lean lower abdominal area and you can bear with me through some anatomy and physiology, I promise it will be worth the effort. To get a stomach area that is flat, strong, stable and hard as a rock, you really need to understand what these “inner unit” muscles are all about. The inner unit is a group of deep muscles that provide the necessary joint stabilization for the spine. If the inner unit doesn’t activate your spine properly, your spine, pelvis and joint structures are placed under a lot of stress and this can lead to orthopedic injuries (and other dysfunctions like your lower abs “pooching” out, regardless of body fat levels). The inner unit consists of the transverse abdominis, multifidus, the pelvic floor and the diaphragm. Research has shown that the inner unit muscles operate on a different neurological loop than other core muscles. The Transverse abdominis (TVA) is the deepest, innermost layer of all abdominal muscles. Think of the TVA muscle as your body’s natural weight-lifting belt. When the TVA contracts, it causes hoop tension around your midsection like a girdle or corset. If the TVA muscle does not tighten up and work properly, acting as a girdle around your waist to stabilize your spine and pelvis, you are at much higher risk of injury (or dysfunction as in a protruding abdominal wall). For example, you bend over to pick up the laundry basket and your TVA does not activate properly. The stress to the spine that follows eventually leads to the overload of the segmental (one-joint) stabilizers and POW! You back low back goes out and you’re in pain. This happens because the segments of your spine tighten down but the gross stabilizer (the TVA) does not, leaving the spinal segments to work on their own. They cannot provide enough muscular strength at the segmental level to withstand such a movement. Now can you imagine lifting weights, a full suitcase off a conveyor belt or reaching overhead to pull down a heavy box of books? When the TVA does not work properly, the joints will begin early degeneration leading to many other types of orthopedic problems as well. To activate the TVA, draw your belly button up and in towards your spine. This activation should be done before any bending over or reaching overhead, especially with heavy loads. A little trick is to get a string and tie it around your waist at the bellybutton level. Draw your abdomen up and in toward your spine as far you can, then let it out about three-quarters of the way and tie the string at that point. It should be tight but really not noticeable. If your TVA relaxes and extends your abdominal wall, the string will tighten up and you will immediately get feedback. The next inner unit muscle you have to consider is the multifidus. This muscle lies deep in the spine spanning three joint segments. The multifidus provides joint stabilization at each segmental level. Each vertebra needs stiffness and stability to work effectively to reduce degeneration of joint structures. The third set of inner unit muscles are the pelvic floor muscles. It’s important for the pelvic floor and the inner unit to work properly. In many cases, due to operations such as hernias, hysterectomies, and C-section childbirth, the inner unit muscles have been cut, reducing communication to these muscles. By doing some very simple, but very important exercises, you can re-establish communication between the nervous system and the muscles, tighten and tone the muscles, and prevent or reduce incontinence, leakage, and pelvic dysfunction. You mentioned that you were doing “mid-body exercises,” however, if you’re not specifically working each of these three inner unit muscles, plus the diaphragm, your lower abdominal area will not achieve the strength or muscular look that you’re after. You might be surprised to see that the primary exercises used to improve inner unit muscle activation are NOT the usual abdominal exercises you see in the magazines like crunches and sit ups. My Firm And Flatten Your Abs ebook is based on strengthening and developing not just the outer unit “six pack” muscles, but also these important inner unit muscles. Click here for pictures and explanations of the exercises listed above. In your situation, where you’re eating well, you’re training and you’re highly motivated, another condition could be a contributing factor in your abdominal area not looking like you want it to: It’s called visceroptosis. Visceroptosis is a condition in which the internal organs have been compressed and displaced by poor posture and the enlarging womb from pregnancy, and this has a direct effect on inner unit dysfunction. The displacement of internal organs can stretch the attachments which hold the stomach, liver, and kidneys in their proper place in the upper abdomen. As a result, they are left suspended in a lower position. This produces a tendency for the inhibition of the inner unit. It also influences other structures such as blocking or squeezing of tubular structures, ducts, blood vessels, and nerves. This can lead to all kinds of problems such as indigestion, kidney problems, and constipation. The long and short of all this is that your insides have to be in shape for your outside to be in shape and that requires exercises that most people are not doing. You could also look into other aspects of your workout schedule, especially your cardio training. At up to 60 minutes per session, you might be doing more cardio than you need. When cardio is overdone, muscle imbalances or injuries such as knee problems can occur. I would suggest alternating days of resistance and lower body strength exercise. Keep in mind, your body can adapt very quickly to an exercise program as you get in better and better condition. When I was training Greg Haugen, the 4 X world champion boxer, I would have to adjust his exercise regimen every 21 days. If I didn’t, he would adapt and stop making progress. It’s especially easy for your body to adapt to aerobics. When you do too much aerobic exercise, your body becomes more energetically efficient. As you run on the treadmill, it says you burned X amount of calories, but you’re really expending less energy at a given workload because you’re in better condition than you used to be. So the question is, what is the alternative? One solution is to begi alternating some of your conventional steady state cardio with higher intensity interval training. Interval training is very challenging but very effective, not to mention time-efficient and it’s a good way to break a plateau if your body has adapted to conventional long duration, steady state cardio. Start jogging on the treadmill at the 7th level for one minute, increase it to the 8th level for one minute, increase again to the 9th level for one minute, place it to the 10th level for one minute, reduce it back to the 9th level for one minute, reduce it again today to the 8th level for one minute again, reduce it to the 7th level for another minute. Go up the pyramid and down the pyramid for 10 to 12 minutes. This burns a lot of body fat and stimulates metabolism. After your interval program, then go on to do your regular resistance training for the entire body or do a simple circuit weight training program, depending on your goals and amount of time you have. Resistance training builds muscle and more muscle means you burn more calories and more body fat. Resistance training also elevates your metabolism for many hours after a training session. Your diet may also be contributing to your abdominal frustration. Your diet seems very clean, but if you have a food intolerance to certain foods it will tend to bloat your lower intestines and contribute to the “pooch belly” syndrome. When gluten is one very common intolerance and tends to interfere with good digestion thus causing inflammation and bloating. When someone has food sensitivities, it’s important not to eat foods from the same source until your immune system has had time to deal with the problem food. This keeps it from being overburdened and leads to a nicer looking body. Try rotating your foods. Do not eat the same foods within a given 72 hour period. The simplest test for food intolerance is to eat your normal diet and ask yourself two hours after a meal, how do you feel. If you feel sluggish, mentally-clouded and lethargic, then the last foods you consumed may not match your body type. Each individual has a specific body type and metabolic type. As we have always heard, one woman’s fruit is another woman’s poison. Also on the subject of diet, you mentioned you figure you have a 1500 calorie per week deficit. Over seven days that’s only a 214 calorie per day or just under 10% deficit. If you have a 2200 calorie per day maintenance level that would put you at 1986 calories per day. Although it’s not a good idea to cut calories too low, fat loss does boil down to calories in versus calories out and you might need to reduce your calories further. I’d recommend you journal your food intake to be sure or your caloric intake and then test the results of another 200-250 calorie per day decrease. Last but not least: What is your stress level like? When your body is constantly stressed, losing body fat is extremely difficult. By reducing your stress level with such things as yoga, tai chi, and qi gong, you will dramatically improve your mental and physical wellness. Make sure that you’re getting a good amount of sleep, drink plenty of water, and eat as organic as possible Wow. I think this was the longest Q & A column I have ever written, but your question raised so many important issues and I know that so many people with similar situations will be reading this that I wanted to be thorough and cover as many bases as possible. The reasons why the majority of people do not have abs are huge and the major stumbling block is that plenty of so called “experts” are still teaching old fashioned advice for building abs that just doesn’t work. The number one mistake we make is that even though we are overweight, the thing we always start doing is crunches and leg raises. This means that if you have excess fat covering your abs, you will only manage to add muscles underneath, but not lose the fat. So basically, instead of having a slimmer waistline to show off your abs, it will get bigger and your love handles will also get thicker. Now let’s get one thing straight: Even if you heard about spot reduction, there’s no such thing. Only when you manage to shed that extra weight off, will you be able to reveal your abs. Another mistake concerning abs is believing what you see on the commercials late in the evening when you’re watching TV, promising that you’re going to have great looking abs by using a certain kind of gizmo or gadget. The thing is that if everything were that simple, everyone would look great by now and not complain about having no abs at all. The reasons they cannot have those great looking abs is because those gadgets are good but only half the battle, nutrition along with exercise are the other key components. If you want to show off your abs, the first thing you’ve got to realize is that the equation for abs is simple. Anyone can greatly improve their progress and performance by carefully choosing what foods they eat and beat juice should be at the top of their list! Raw beets are loaded with a form of nitrates that are easily converted to nitric oxide in the human body. These healthy nitrates oxygenate the blood making the muscles respond better to resistance training! Moreover, the improved oxygen distribution to all parts of your body, including your heart and brain, will give you more stamina during workouts! Please note that the healthy nitrates in beets are not the same as the “bad” nitrates found in processed meats like bologna, hot dogs, and deli meats. Beet juice has many other health benefits for bodybuilders too! Many studies have pointed to the fact that it lowers blood pressure. Beet juice also stabilizes blood sugar, leveling out the lows and highs after you eat. This will reduce lethargy, prevent depression, and help keep you more motivated to stay on track with your workouts. The beet root is exceptionally high in folic acid and manganese. The leaves and stems are exceptionally high in vitamin K at 500 percent the recommended daily allowance. This will help maintain your bones and prevent osteoporosis. Beet juice is also quite high in vitamin A vitamin C, calcium, iron, magnesium, potassium, magnesium, sulfur, copper, choline, and silica. This is why some nutritionists call beets and beet juice a superfood. Well, I started using it every other day and to my surprise, my low back pain went away. I simply amazed. Again, I’m know fan of gimmicks but this really worked, and I now believe it could work for you. 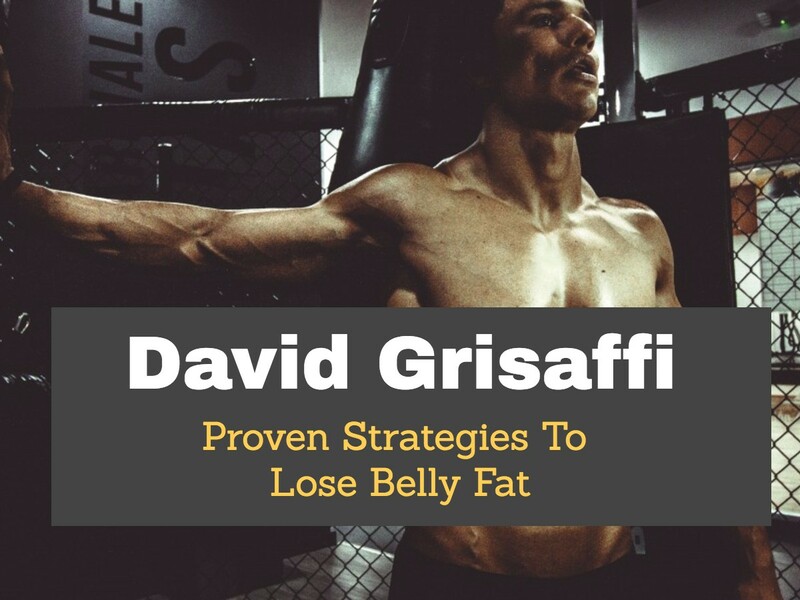 David Grisaffi Continue readingContinue reading Does The Flex Belt Really Work? Ripped, chiseled, dynamic, flat, rapid, sculpted, , are all adjectives to describe someone else’s abdominal muscles. Whether it be for vanity, or a health reason, and you are looking to “get ripped”, there are steps to consider before buying the newest, or best ab machine on television. The first step to the desired end, must be lowering your body fat percentage. If you do not work on reducing the size of your fat cells first, your hard work will be in vain. Every year as Thanksgiving gets closer, you’ve probably seen the depressing reports: “Most people gain between 5 and 10 pounds of body fat in the six weeks between Thanksgiving and Christmas.” I’m not sure if this worries you or not, but a lot of people are terrified about getting fatter in the next two months. They anticipate the workouts falling by the wayside and the holiday food calling out to them irresistibly, defeating even the strongest willpower. There’s good news and bad news about this. Bad news: A study by the National Institutes of Health found that this seasonal weight gain – even just a pound – is the kind of weight gain that most people don’t lose when the holidays are over; it simply adds to the weight creep that sneaks up on you as you get older.